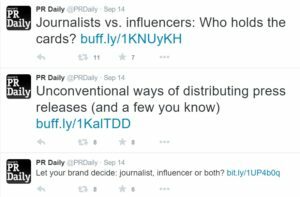 Scrolling through my Twitter feed last month, I noticed a PR Daily tweet on “Unconventional ways of distributing press releases (and a few you know)” followed by a link to a 2014 post on ways to use releases. The suggestions were pretty standard – pitch the release, put it on social media, post it to your company/institution/group’s website, use a wire service and share it with your sales team. If you’re not already pitching your release and posting it on social media and your website, you’re doing it wrong. I was #thoroughlyunimpressed. Plus, communications pros around the world often work on a shoestring budget, so using an expensive paid distribution service may not even be an option. So, here’s my take on how to make your press release go that extra mile. Use bullet points and/or quotes from your release to make a SlideShare presentation to share on various social media platforms. It’s a great way to work graphics and photos in with your text while getting the main points across. Let’s be honest. You may be the next Ernest Hemingway, but some people still won’t read your full release. This tactic lets you communicate the main takeaways in a quick and dirty fashion. Extra points if you make it pretty with photos or graphics. PR Daily suggests sharing your release with your sales team. I say share it with EVERYBODY. Crash through those silos that may separate communications from other areas of your company/organization/group. Why? Glad you asked. First, everyone needs to know what messages, priorities and initiatives are being communicated to the general public. Second, your non-communications colleagues may have some creative ideas of how to further your message. That feedback and creative partnership is especially important if you’re a one-man shop. And third, your release might be particularly interesting to a stakeholder/constituent/friend of someone else in the organization. This could translate into new business, partnerships, contacts or other opportunities down the line, but everyone on your team has to know about it first. Posting your release on your institution’s social media accounts and website is a given, so what’s next? Communicators build relationships at every turn, whether they’re directly related to your organization or for personal development. Use those people. Re-post your news releases or links to them on your own social media pages. Make sure your business cards, Twitter bio and Facebook page have the web address to your organization’s news page so your friends and contacts can check it out. Know a friend or professional contact (doesn’t have to be a reporter!) who might have an interest in your release? Ask if they’d consider posting your release on their pages. One of my best friends is a public radio reporter, and she constantly gripes about PR people catering to print outlets. She needs sound whenever possible, so think about ways you could provide some high-quality audio. Maybe you could record your spokesperson/president/CEO reading a snippet of the release that could give you some extra options when trying to pitch a story or position to reporters and your CEO can’t do interviews. Make it a full story. OK, hear me out on this one. Many practitioners think your release should be a one-pager. This concept is generally true, but consider this: The media landscape is changing, and some outlets print the releases when they don’t have time to do the story. 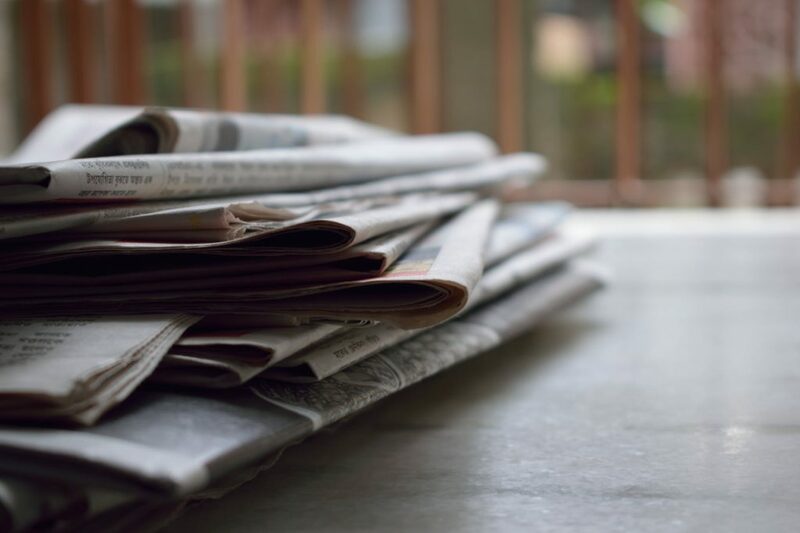 Many businesses are hiring journalists to create content that reads more like news stories to fill the gap in news coverage. It may be worth your time to lengthen that press release by throwing in some background, statistics or any other supporting material that gets your point across. Let’s be honest. Some stories are easier to sell than others, but if you don’t move beyond standard practices, your chances are pretty slim. Even getting it in front of a few more eyeballs can be worth the extra time and energy in the end. Kathleen Haughney is the Research Media and Content Specialist for Florida State University, which means she spends her days promoting discoveries by FSU faculty members and their students. She is a former reporter for the Sun Sentinel and News Service of Florida and a proud graduate of Penn State University.